When your cruise ship pulls into the Hanga Roa port, see the famed Ahu stone sculptures of Easter Island on a full-day shore excursion. A professional guide takes you to the temples of Ahu, Akahanga and Tongariki in Rapa Nui National Park. Marvel at the ‘moai,’ monolithic human figures carved hundreds of years ago. 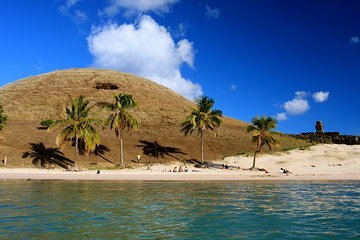 See the Rano Raraku volcanic crater and visit the white-sand beach of Anakena, with lunch and round-trip port transport included.